Is aging inevitable? And if so, why? 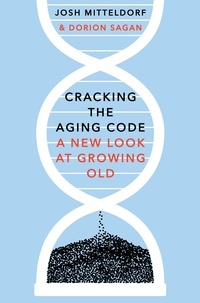 We talk with Josh Mitteldorf talks about his book, co-authored with Dorion Sagan, Cracking The Aging Code (Macmillan, 2016.) It’s about why we age and what we can do to slow aging down. Then, in keeping with our theme, we explore a novel about a man who never dies. 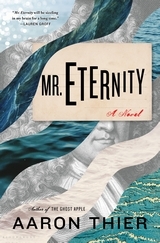 We talk with Aaron Thier about his new work of fiction, Mr. Eternity. Josh Mitteldorf is the kind of scientist who likes breaking down boundaries. He started out as a theoretical physicist, but then got interested in life extension. He was curious about why a near starvation diet seems to prolong life in mammals. It seemed counterintuitive. So he turned his scientific research to evolutionary biology and embarked on a quest to crack the aging code — why do we age, why do different species age at different rates, and is there anything we can do about how evolution programs aging into our genes? In his new book, Cracking the Aging Code, Mitteldorf teamed up with co-author Dorion Sagan to tackle the conundrum: if aging is so bad for us, why is it so good for our species? Along the way, the authors demolish some popular shibboleths about aging and confront readers with the question: should we try to live forever? Or should we just make the best of our time on earth, living as long and healthy as we can? Josh Mitteldorf has worked in astrophysics, optical design, and energy conservation. He’s taught (statistics, physics, math, astronomy, and evolution) at Harvard, Berkeley, Temple, UPenn, LaSalle, and Bryn Mawr. In our first segment we talked about aging. Now, let’s consider immortality. That’s what Aaron Thier does in his new novel, Mr. Eternity (Bloomsbury, 2016). In any event, Mr. Eternity gives the reader the chance to take the long view — the very long view — and consider how we got to where we are right now and where we are going. We move back and forth between times — 1560, 1750, 2016, 2250 and 2500 — seeing past and future through the eyes of their contemporaries. Aaron Thier is the author of the novel The Ghost Apple, a semifinalist for the 2015 Thurber Prize for American Humor. He writes a column, Food & Consequences, for Lucky Peach and he is a regular book critic for the Nation.